In addition, they are holding a photo challenge. Tag your photos on Twitter with #frappuccinohappyhour. There will be a different challenge every day until May 13th. 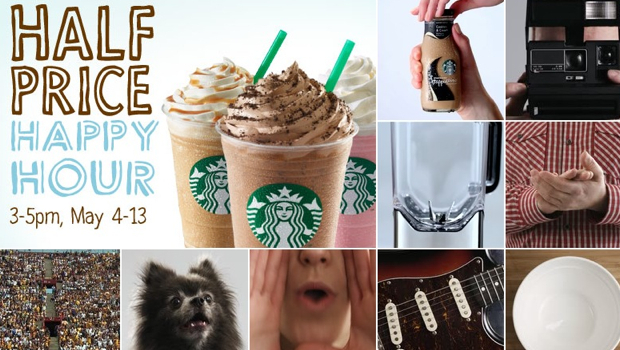 Each day, 10 cool and inspired photos will be selected and posted on the Starbucks Frappuccino Facebook page. Selected winners will receive a $25 Starbucks gift card and also be eligible for the drawing of three grand prize packages.